The Walk-Around CMM - CMM Inc. The Leica T-Probe is designed to examine and reach concealed, hard-to-reach points. This hand-held ‘walk-around’ probe is small, light, user-friendly and more accurate than any other hand-held probe system. The T- Probe is able to measure up to 9 cars in one setup with minimal setup times, sets new standards by increasing accuracy, offers a ten-fold increase in point acquisition rate and provids user-assignable multi-function buttons. 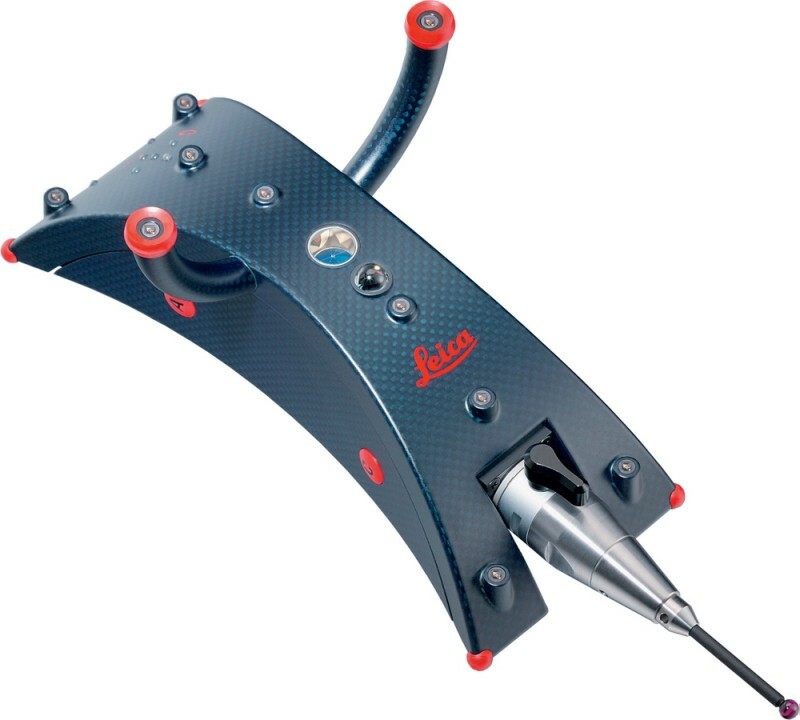 The Leica T-Probe offers a ten-fold increase in point acquisition rate, while maintaining the highest precision. It is also compatible with the Leica AT901 Laser Tracker. Precise quick release and automated stylus recognition for exchanging styli without calibration.